Why Outsource? 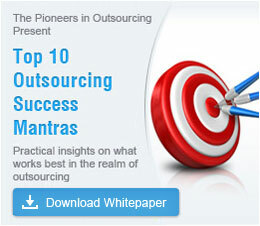 Know the Benefits of Outsourcing to Outsource2india! Every minute your employee spends on an activity that does not directly add value to your customer's solution is a cost that can be saved. This article looks at the reasons that make organizations like yours look seriously at outsourcing some or most of their work. Many businesses have started outsourcing to Indian Internet IT service companies (software and web developers) as a strategic initiative to cut costs and to have access to intellectual capital not available in-house. 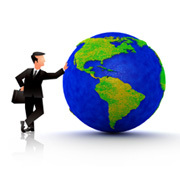 Virtual Web companies are a natural outgrowth of the omnipresence of the Internet. But is the company just a web page or it a team of people with processes, and infrastructure? You can always find companies that offer services at very low costs. An ethical concern might seem to be a costlier choice. However, the price difference could be deceptive as the variation will only be in the initial cost. In the long run, the overall cost will prove to be much lower when you are working with an ethical partner. Better outsourcing management helps in optimizing your business for maximum performance. A systematic outsourcing management will surely produce the following benefits and improve your outsourcing business. How does offshore outsourcing benefit the US and actually create more jobs? Max P. Michaels offers answers to these questions in two insightful and well researched articles.